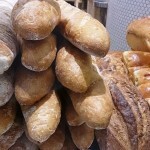 Could wheat, gluten and cereals be contributing to your health problems? Being high in starches cereals convert to sugars quickly in the body. This raises insulin levels. Over time refined starches contribute to insulin and leptin resistance, leading on to metabolic syndrome, diabetes, heart disease, high blood pressure, hypertension, arthritis and other inflammatory and degenerative conditions. Wheat is an amazing crop; so are its relatives barley, rye, spelt, kamut, maize and oats etc. These cereals grow incredibly reliably; they stands up to the weather without succumbing to molds and fungi; they suffer little from attack from bugs, caterpillars or mite and help beat the weeds into submission too. For thousands of years wheat and its close relatives have been grown and stored so to make food to sustain people thought the year. The problem is that the characteristics that make it so good at standing up to insects, bacteria, molds etc are actually bad for us. Metabolically we, humans, aren’t that different to these bugs; what;s bad for them in the long run is usually bad for us. We know too much insecticide is bad for us, wheat and other cereals have their own “insecticides”, clever subtle ways of incapacitating things that want to eat them; that includes us. Often this is experienced as inflammation and autoimmune disease. 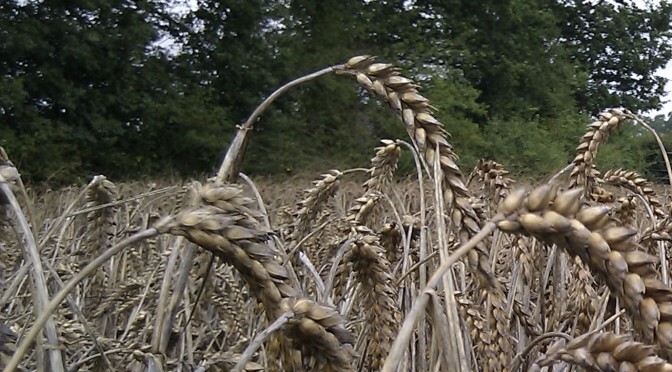 Over the thousands of years we have been breeding cereals the best varieties farmers have selected the ones which naturally resist disease and pests. They are the varieties which the highest levels of natural inbuilt pesticides or anti-nutrients. Unfortunately these tough plants are the ones that make our bread, pasta, cakes and breakfast cereals. There is more wrong with wheat and cereals than gluten. This is just one problem component which in some people who are allergic to gluten, a protein in wheat, causes the autoimmune condition, coeliac disease. Other people have other issues with gluten and react in different ways, invariably this means some sort of inflammation and continual inflammation is very damaging to health in the the long term. Wheat, barley, rye and other relate common cereals have more tricks up their sleeves: lectins. Some other plants including beans, nuts and potatoes also too contain their own lectins. These are proteins which can interact with the epithelial cells of the lining of the gut. The lectins in cereals seems to be particularly aggressive and damaging to intestinal health. In some people this can cause discomfort and inflammation, typified in IBS, bloating and cramps; in others the damage is more subtle and results in “leaky gut syndrome”. The gut is designed contain our food as it is broken down into its smallest components, such as breaking proteins down into amino acids which are then absorbed as nutrients though tiny pores in the gut wall into the blood stream. The effect of lectins causing leaky gut syndrome is that the wall of the gut becomes damaged so that larger molecules can can enter the bloodstream. When the body sees strings of amino acids or protein molecules, especially those of animal origin, it thinks it has been invaded by some sort of disease-causing organisms but doesn’t have specific antibodies to cope with the problem so the immune system goes into overdrive and and gets out the big guns. The cereals damage your gut which allows meat, milk, egg or cheese proteins to enter the bloodstream which causes the body to fight back so hard it creates excessive inflammation which ends up damaging itself, this can result in many different conditions some considered autoimmune other degenerative. As foods wheat and other cereals contain enough calories in the form of starch to keep us going and make us fat but are low in protein so it is a poor food for building healthy muscles and bones. The starches in cereals, especially refined cereals such as white bread and flour are quickly converted into sugars which as we all know are bad for us. Cereals proteins aren’t even a complete protein which is one of the reasons why people who rely on cereals develop protein deficiency conditions including kwashiorkor. Cereals are short of protein, vitamins, minerals and phyto-nutrients; which is why they so often do people more harm than good! 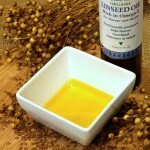 If you decide to cut out wheat and cereals look at recipes that include ground linseed; it helps fill you up and is much more nutritious than cereals. Flax Farm Recipes Includes gluten-free, wheat-free crackers, breads, and more.